U.S. News & World Report has ranked Emory University Hospital the number one hospital in both Georgia and metro Atlanta in its 2016-17 Best Hospitals Guide. For the fifth year in a row, U.S. News & World Report has ranked Emory University Hospital the number one hospital in both Georgia and metro Atlanta in its 2016-17 Best Hospitals Guide. Emory University Hospital includes Emory University Orthopaedics & Spine Hospital and Emory University Hospital at Wesley Woods. Emory Saint Joseph’s Hospital increased its ranking to 2nd in Georgia and 2nd in metro Atlanta. Emory University Hospital Midtown increased its ranking to 9th in Georgia and remained 5th in metro Atlanta. 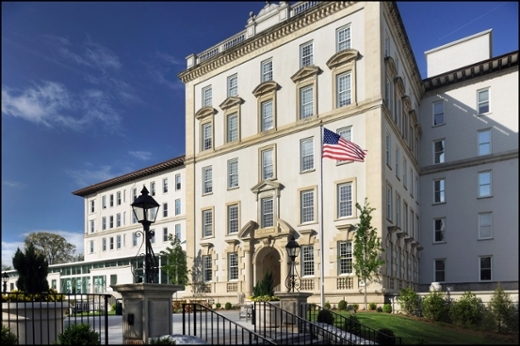 Emory University Hospital also ranked high performing in gastroenterology & GI surgery, nephrology, ophthalmology and urology. Emory Saint Joseph’s Hospital ranked high performing in orthopaedics. "Throughout our entire health care system, we are proud of our achievements in ranking so prominently locally, statewide and nationally," says Jonathan S. Lewin, MD, president, CEO and chairman of the board for Emory Healthcare. "The driving force behind these rankings are our nurses, staff and physicians who deliver quality, compassionate health care to our patients and families each day. We thank them for their excellent work." U.S. News & World Report began publishing hospital rankings in 1990 to identify the best medical centers in various specialties for the most difficult patients -those whose illnesses pose unusual challenges because of underlying conditions, procedure difficulty or other medical issues that add risk. Hospitals are assessed in 16 specialties for the rankings. In 12 of the 16 specialties, ranking is determined by an extensive data-driven analysis that combines measures of performance in three primary dimensions of healthcare: structure, process, and outcomes. Ranking in the other four specialties relies on hospital reputation as determined by physician surveys. Within a state or metro area, regional rank is determined by a hospital's performance in the national rankings analysis and by its scores across nine procedure and condition areas evaluated. A hospital with more national rankings in the 12 data-driven specialties outranked a hospital with fewer national rankings. The specialty rankings and data are produced for U.S. News by RTI International, a leading research organization based in Research Triangle Park, North Carolina. Using the same data, U.S. News produced the state and metro rankings. For more on the rankings, access www.health.usnews.com/best-hospitals.